One of the tasks that you may need to undertake if you want to buy a home in Peabody is shopping around for mortgages. 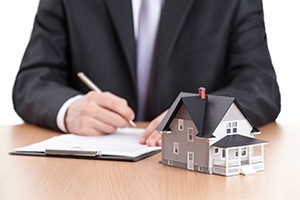 Often, consumers are unaware of how to go about comparing mortgages, particularly when they are buying their first homes, and they may be confused about the jargon that surrounds this industry. If you are entering into a property transaction, the Peabody real estate lawyers at Pulgini & Norton can advise you on shopping for a mortgage and other aspects of buying a home. If you are shopping for a mortgage, you may end up with a higher interest rate than you deserve, and this may affect you financially over the long term. Lenders charge various fees and interest to make a profit from loaning you money for your home. The par rate is a reference point or base interest rate without any interest manipulation. When comparing mortgages, you should find out what the par pricing is for different loans and what alternative rate and point combinations would be. The par rate will be determined by various factors, including your credit score, the nature of the property that you are buying, and the amount of money that you are borrowing. You should also be aware that lenders sometimes sell mortgages or assign them to other lenders. The lender to which a mortgage is assigned takes the place of the original lender, and usually you will start paying the new lender. As a borrower, you will not have any control over whether the mortgage is sold to someone else, but the new lender should let you know how to pay the mortgage to it. Sometimes this gives a borrower an opportunity to renegotiate the loan terms. Notice is provided by recording an assignment at the Registry of Deeds. The assignment will include a description of the property, the names of the parties, and the date of the assignment. The assignment may not be blank, or a foreclosure sale related to the mortgage will be void. After the mortgage is paid off, the holder of the mortgage is supposed to record a satisfaction to provide notice that there is no lien on the property. In some cases, borrowers apply to get a loan from a correspondent lender. This is a lender, often a small operation, with its own underwriters that funds loans with its own money. The correspondent lender usually follows the guidelines of an investor to which it will eventually sell the loan. Once the correspondent lender sells the mortgage to a bigger entity, another company might be the entity to service the loan by collecting monthly mortgage payments. Peabody is a city of over 50,000 residents in Essex County. It was a farming community when the area was settled, but it later became a major center of the leather industry. If you are buying or selling a home, you should retain a knowledgeable Peabody real estate attorney. Contact Pulgini & Norton at 781-843-2200 or through our online form for a consultation with a property transaction lawyer.